With Texas rodeo season upon us, we’re feeling nostalgic for some of our favorite cowboy fare recipes from around the state. Grab your group of lasso lovin’ friends and giddy up for these Goodtaste-approved snacks and sides that scream Texas. Rope in Tejas Rodeo’s Smoked Beef Rib Tacos with Tomato-Poblano Jam. At this Bulverde restaurant, a live professional rodeo of bull riding and barrel racing goes on 9 months out of the year. At the award-winning steakhouse, gargantuan beef ribs are served with homemade corn tortillas. Now you can savor all the goodness of this cowboy cooking in your own kitchen – we have the recipe. This ooey-gooey sandwich is inspired by Burro Cheese Kitchen in Austin from Goodtaste season 3. The “Burning Mac” is made on sourdough bread and filled with mac n’ cheese, cheddar and Austin’s very own Yellowbird Foods hot sauce. Is it really rodeo season without a bubbling pot of BBQ Baked Beans simmering on the stove? We’re longtime fans of Killen’s BBQ Baked Beans, which are made with leftover shredded rib meat, molasses and their house BBQ sauce. Get the recipe here. Nothing says Texas Rodeo like these little sausage bites! We nabbed this recipe from Black’s Barbecue in Lockhart, which is Texas’s barbecue capital. This BBQ mecca has been open since 1932 and diners have been chowing down on giant Beef Ribs and Spicy Jalapeño Sausage since. While these favorites haven’t changed much, we bet that no one in 1932 would have dreamed of the Bourbon Sausage Donuts being served there today! Here’s how to make them at home. 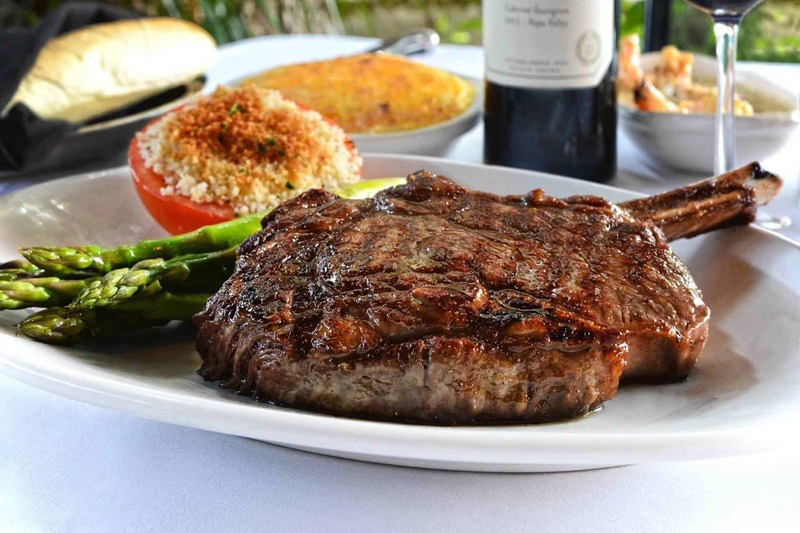 While crowds flock to Steak 48 in the Bayou City for its prime meat and super-fresh seafood, it’s their sides that take this steakhouse to the next level. The menu has an extensive list of over 20 side dishes, like the slightly savory corn crème brûlée. This over-the-top creamed corn ain’t like your grandma’s. It’s made with fresh sweet corn and then broiled to create a crackly caramelized top. Want to make it for yefourself? We’ve got the recipe right here.